Endometriosis Awareness Month – Pelvic Pain Matters! 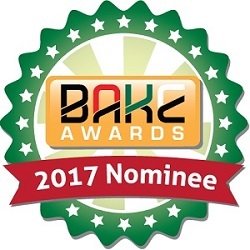 Your Voice Matters! 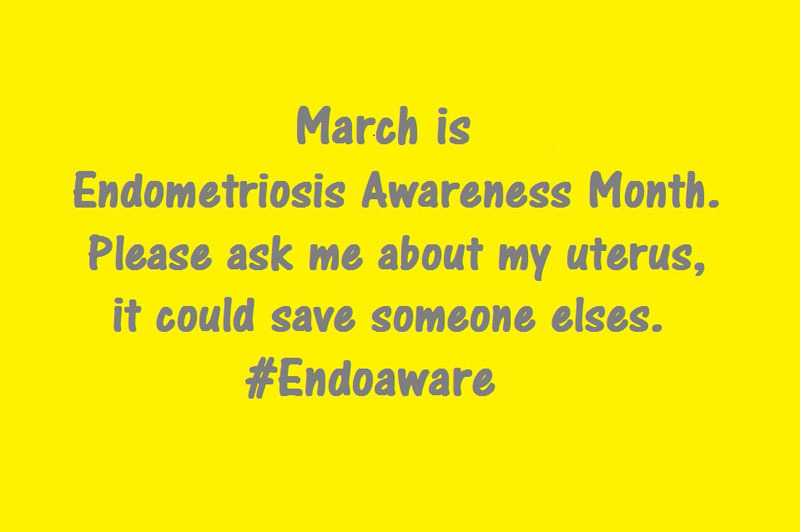 March is Endometriosis Awareness Month. You have seen a lot of yellow ribbons, yes, they are for Endometriosis (Endo) . On 5th March Endometriosis Foundation of Kenya held its first Endometriosis Awareness Forum and I’m glad I attended it and for the organizers, thank you for hosting it. It brought a lot of tears but also information and sisterhood in this fight. One thing that is very clear, a lot and i mean A LOT of women are suffering both silently and outwardly even worldwide so what is baffling me is how come so many people don’t know about it, so many don’t believe it exists and so many doctors are not only clueless but have old wives tales for remedies (go have children etc). Even my auto-correct doesn’t recognize the word Endometriosis. It takes years for a woman to correctly diagnosed. Why is it so? Is it because its a woman’s illness and does not affect both genders and hence we still haven’t heard of a relief plan? Lets not even talk of a cure, lets talk relief. How many illnesses and diseases have we had come up in less than 20 years and now have cures, widespread information? When Lena Dunham could not promote Girls because of endo, a lot of media took it upon themselves to finally talk about it but guess what, they had and gave out wrong information which is worse than no information. Case in point, CNN where they stated hysterectomy cures Endometriosis. That is to tell you how much misinformation is out there. I must commend The Guardian for not only getting the correct information but for getting the woman’s point of view, women affected by Endometriosis. How many people can honestly say they know about Endometriosis? Facts about Endo . Endometriosis is something that was discovered way back then but very little progress has been made in terms of diagnosis, information, relief and cure. This is saddening. The more a woman is misdiagnosed, the more it may spread, the more emotional and physical pain it causes. Endometriosis has cost women a lot of work hours, a lot of relationships, a lot of financial stress (many can testify of how much they had to drain financially from the frequent doctor’s visit, to the laparascopies to the medication to even the change of lifestyle just because of endometriosis. To the medical insurance companies that still put endo as part of fertility and cannot cover it, shame on you!!) and the worst of all, a lot of emotional burden and pain. To all the Endometriosis support groups, continue to support the endo sisters out there. It helps to have a shoulder to cry on, a cry to someone who actually understands what you are going through.We applaud you. What need to be done for women with endometriosis? We need to shout from the rooftops that pelvic pain matters! I had an article on What to do if your partner has endometriosis. Why? Because what the woman goes through as an endowarrior affects directly those around her. Her colleagues, her friendships, her children, her partner, literally everyone. A lot of facts, good facts are out there, I have attached the link about facts about endo from endometriosis.org but today I want to share a personal story from an endosister, an endowarrior, Loise Waweru . I believe the more we speak about it from a personal level the more we create awareness and the more we reach out to those suffering in silence and together we can conquer endometriosis and the stigma around it. My journey with endometriosis started when I was a teenager. I used to get very painful period cramps that would completely immobilize me. I couldn’t do normal things that I could do any other time and I had to stay home and nurse my pain. Normal pain killers wouldn’t work and I rocked myself for hours to numb the pain! I would vomit severally as this was my body‘s way of handling the pain. As you can imagine, this always left me even weaker and on top of this I still had to stomach the immense pain for a full day. I always say I’m lucky because I have one full day of pain and then I’m fine for the next few days of my periods till the next cycle of torture and pain comes again. Some women with Endometriosis endure with the pain not only during their menses but everyday of their lives! It has taken me 14 years before my doctor diagnosed me with Endometriosis. Can you believe it! I have endured pain every month for 14 years! Clearly I am an Endo Warrior! The resilience I have because of this condition surprises me! I have missed work and classes in school because of Endo. Endometriosis is a condition where the tissues that are found in your uterus grow outside of it and attaches themselves to your ovaries, fallopian tubes, in your bladder, in the bowels and also on the pelvic cavity. It is an invisible disease that few feel comfortable discussing and it can interfere with all aspects of life and health. Because it takes so long to diagnose, for some women when they finally get diagnosed with endometriosis, the Endometrioma tissues have been found to have spread to other vital parts of their body ( The Diaphragm and the lungs). For me, the endometrioma tissue unfortunately have spread to my liver and I need to seek further medical treatment for this. Due to the complex nature of the surgery, at the moment, no doctor in Kenya has specialized in removing endometrioma tissues on the liver. Periods are not supposed to be painful! But many women and girls suffer from painful periods all the time but few know that the pain they feel is not normal. If you experience immense pain, or you know of a friend, a sister, a girlfriend or a loved one who experiences a lot of pain during their periods, please ask them to seek medical treatment for this. They may be suffering from endometriosis! There are several treatment options available and your doctor will be able to advise which treatment option will work well for your body. I have personally had the laparoscopic surgery done and I’m hoping it will alleviate the pain I experience. I’m still on pain medicine and will soon go on the hormonal treatment to suppress the growth of the endometrioma tissues. From me an Endo warrior to you who is suffering in silence, please know you are not alone. We can all walk in this journey together and support each other as Endo Warriors and raise awareness to many other women and girls out there.